Nashville, TN -- Both familiar and new, Familiar With The Ground is the intense latest release from The Boxcars. Every time The Boxcars open their cases, a clinic on how to play Bluegrass music ensues. The two-time IBMA Bluegrass Instrumental Band of the Year has achieved a level of musicianship that sets a standard in the genre. They have a knack for merging the power of traditional Bluegrass with an updated style that draws in new fans. Anderson, SC -- Adkins & Loudermilk will host the inaugural Anderson County Halloween BooGrass Bash October 29-31, 2015. Feel free to wear your best Halloween costume for the BooGrass Bash Costume Party and enjoy the spooktacular performances by: Lonesome River Band, Rhonda Vincent & The Rage, Doyle Lawson & Quicksilver, Marty Raybon & Full Circle, Adkins & Loudermillk, Balsam Range, Russell Moore & IIIrd Tyme Out, The Boxcars, Junior Sisk & Ramblers Choice, Flatt Lonesome, Sideline, Marksmen Quartet, and more. Nashville, TN -- Truly the "mountain home" of Bluegrass music, Crossroads Label Group (Mountain Home Music Company), has become the premier label for Bluegrass music with some of the most highly-awarded and top performing artists in the industry. The 2015 IBMA award announcements garnered the label 22 nominations across 13 categories. Mountain Home Music Company congratulates all of its nominees on their hard work and perseverance and for sharing their passion for Bluegrass. 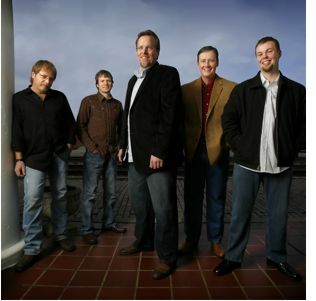 Nashville, TN -- Nominees for the 2014 International Bluegrass Music Awards were announced today at a press conference in Nashville, Tennessee, with The Boxcars leading the pack with ten nominations for the band and their individual members. They’re followed by Blue Highway with nine nominations, and The Del McCoury Band with six nominations. Nashville, TN --- Highly acclaimed and often awarded, The Boxcars have announced the addition of a new member to their musical team. Gary Hultman is just 20 years old and is currently studying at East Tennessee State University, where he became acquainted with The Boxcars’ Adam Steffey. The Birchdale, MN native began playing the resonator guitar when he was very young and like many musicians, spent his youth traveling and performing with a family band. He chose ETSU for college and made his way to Tennessee. Hultman is majoring in Bluegrass, Old Time, and Country Music and expects to graduate in 2016, already a member of one of the genre’s most honored bands. The Old Rock School in Valdese, North Carolina has become well-known throughout the nation for its outstanding bluegrass concerts. The 500 seat auditorium is the perfect place to hear all of your bluegrass favorites. Savannah, GA -- Randy Wood has been producing top quality instruments since the 1960's and performing his craft for everyone from Elvis Presley, Eric Clapton, Keith Richards, Bill Monroe and more, but this famed luthier has also hosted live concerts at his 100 seat Bloomindale listening room since 2003. Beginning this month, Randy Wood Guitars will now feature live streaming concerts via FlattMountainMedia.com. Randy Wood Guitars has presented many bluegrass music artists over the years. Arden, NC -- Without a predetermined list or a rigid plan, Adam Steffey, Ron Stewart, John Bowman, Keith Garrett and Harold Nixon met in the studio; sharing songs and ideas. In less than four days, the Boxcars walked out of that studio with twelve dynamic tracks executed with the characteristic emotion, precision, and cleverness that fans have come to expect from The Boxcars. The reigning IBMA Instrumental Group of the Year releases It's Just A Road, displaying the band’s versatility with a variety of elements that include Swing, Old Time, Gospel and quite possibly the finest Bluegrass heard anywhere. The band is comprised of five players who could individually play with anyone they wish, but they choose The Boxcars. It’s rock solid, masterful, delicious Bluegrass; rooted in tradition and flavored with contemporary finesse. It's The Boxcars and It's Just a Road. And, just who are The Boxcars? The band is a group of astounding artists with a vast and broad experience comprising the best of bluegrass music for many years. Comprised of Adam steffey, Ron Stewart, John R. Bowman, Keith Garrett and Harold Nixon, the Boxcars are the current International Bluegrass Music Association's (IBMA) Instrumental group of the Year. With their latest release, It's Just a Road this phenomenal band demonstrates its musical prowess. Twelve dynamic tracks are steeped in emotion, precision and characteristic cleverness.